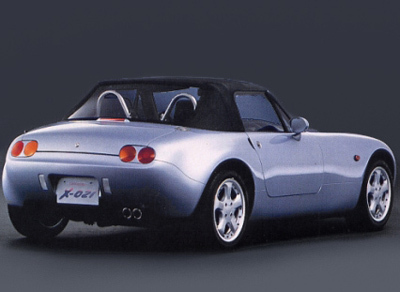 The Daihatsu X-021, which was introduced in 1991 was a proposal for a lightweight, two-seat sports car to rival the Mazda MX-5. The Daihatsu X-021 was an advanced vehicle which displayed some promising tech and specifications. It featured an aluminium space frame chassis, plastic bodywork, and race-derived inboard suspension. Powering the X-021 was a 1.6 litre. 16 valve, inline 4 cylinder engine which produced 140 horsepower. In such a diminutive vehicle, which weighed just 700 kgs (1,543 lbs), this drivetrain gave the X-021 a top speed of 125 mph (200 km/h). The X-021 is one of those 'what could have been' cars. 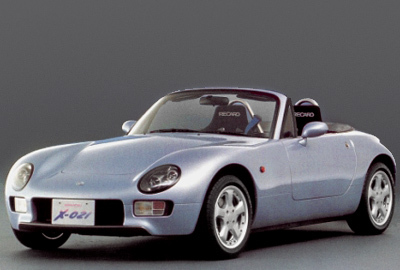 It's so unfortunate that rather than developing this little firecracker of a roadster, Daihatsu decided to go ahead and produce the Copen instead.